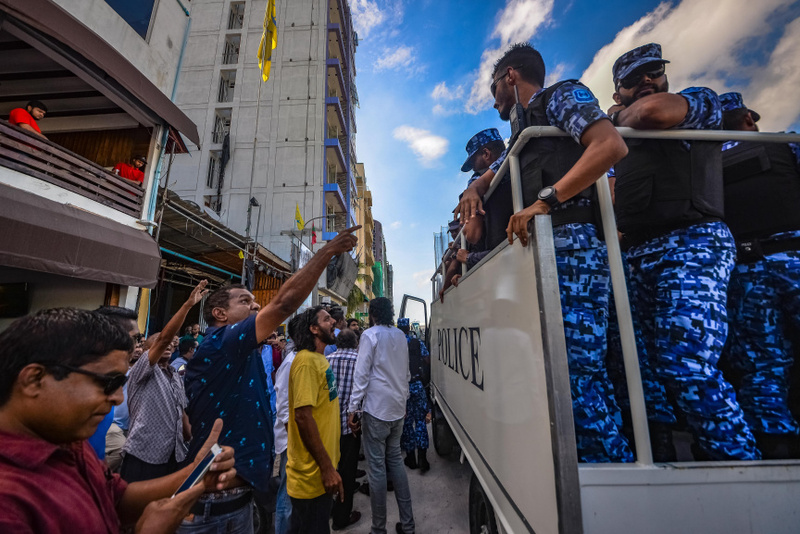 Elections Commission (EC) has made a request at the Maldives Police Service to take action against the leading figures in planning MDP primary election. EC made the decision today at their 412th Annual Function in reference to Article 7 of the Law of Political Parties according to the EC Spokesperson and Member, Ahmed Akram. It is an article in the law that states the things a political party must never do and it states that no political party must to anything that violates the Constitution and the Laws. And doing anything illegal in an election is prohibited as well. Akram said that the Elections Commission is determined to prevent a culture of violating the law of political parties. After the EC requested the Civil Court to issue a temporary order to hold the MDP primary and the court granted the request. However, MDP continued their primary elections. At the EC function today, taking action against MDP was put on the agenda before being postponed to the next meeting. Akram said that taking action against MDP was delayed to complete the legal process before proceeding. Since MDP announced their primary elections, EC have said that including the former President Mohamed Nasheed would make the election illegal and invalid.